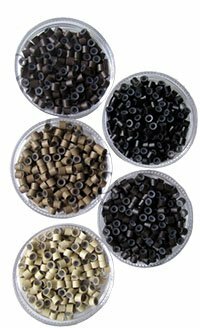 Build your own custom tipped hair extensions! You're all almost finished! Please note that custom extensions cannot be ordered with other items. Custom extensions take about 14 business days to produce, not including transit times. If you need them by a certain date, please send an email to locksandbonds@gmail.com, or call 206-317-8584 x 1. 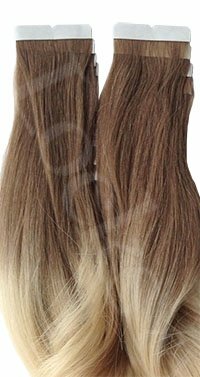 CUSTOM KERATIN-TIPPED HAIR EXTENSIONS MADE JUST FOR YOU! 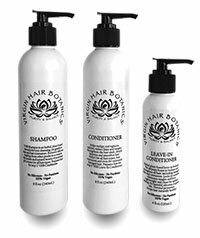 Our Remy hair curls easily. Often holds a curl or wave for days. 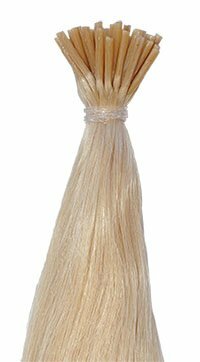 Thickness of a strand is based on the ratio of 1 gram per strand for 22″ length hair. 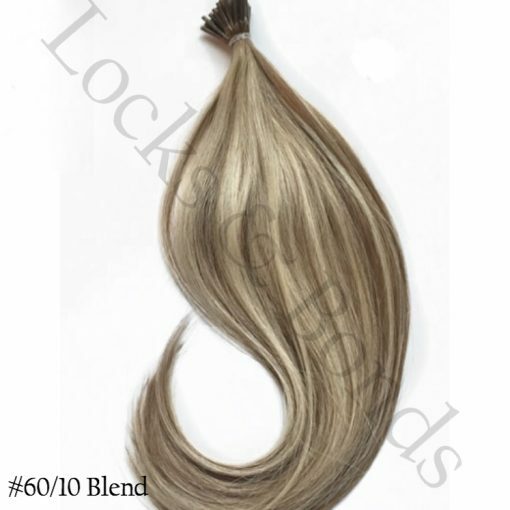 Shorter lengths will have a bit less hair, and longer lengths a bit more to keep the same ratio of hair per strand. The most popular length is 18″ which reaches to mid back (bra-strap) on an average high torso. The sides will always appear shorter as they are clipped above the ears. There are three types of tips available: I-tips, aka stick tips, are used with micro rings and are clamped onto the hair. 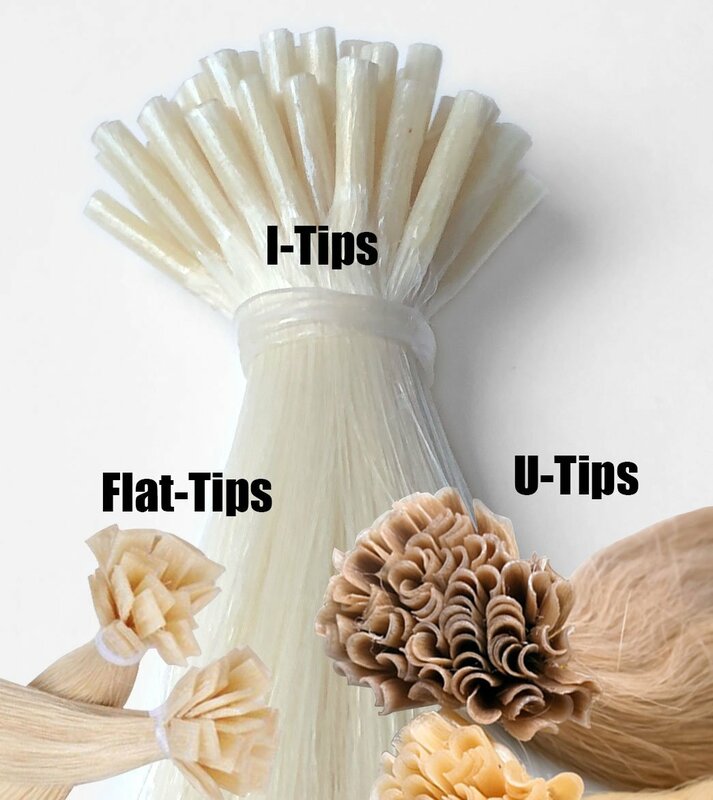 U-tips (aka nail tips) and Flat-tips are used in the “hot fusion” method and are heated and glued onto the user’s own hair. All the tips are made with the finest Italian keratin. 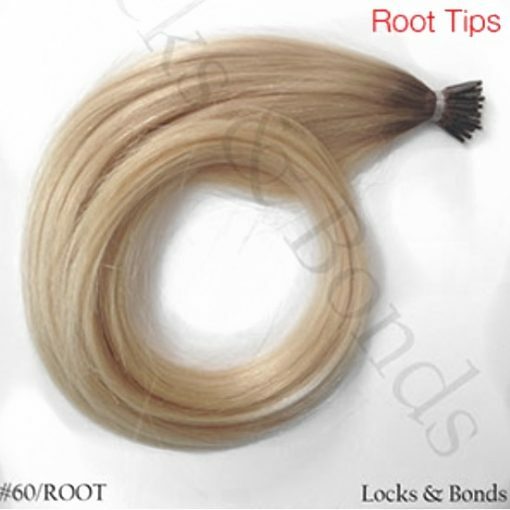 All root colors are about 1-1.5″ from the weft down. Select Yes or No. 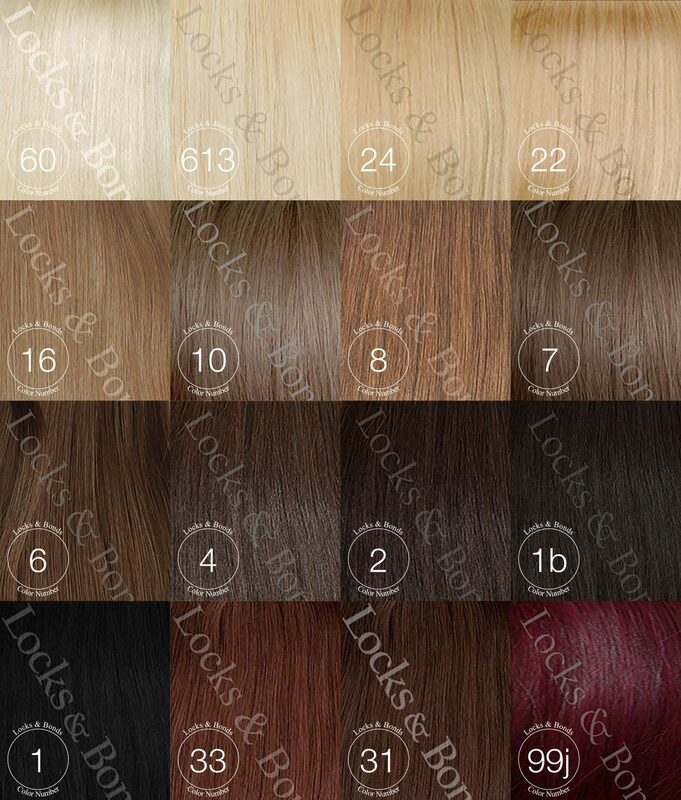 If you select Yes, and additional Root Color option shall appear. Tip: Root colors do not have to exactly match your root hair color as they will be covered by your own hair, However, they are great because they offer darker hair at the roots so that the I-Tips are more undetectable, since dark hair is less noticeable than lighter hair.